Enjoy visits to one or more of our numerous Peak District towns and villages, each with their own unique characters. Whether it is culture, architecture or a shopping experience you seek, we are sure to have you covered! Ashbourne marks the beginning of the Peak District if you are travelling from the south. It’s a beautiful market town with many historic buildings and independent retailers. 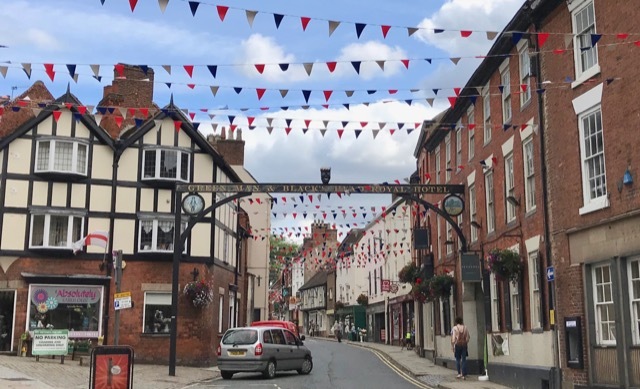 These days it is probably most famous for the Shrovetide football that takes place all across the town on Shrove Tuesday and Ash Wednesday each year. The Tissington Trail starts in Ashbourne and goes (nearly) all the way to Buxton. Bakewell is most famous for its Bakewell pudding, a recipe alleged to have come about by mistake and not to be confused with a Bakewell tart. It’s a busy market town largely made up of independent retailers. There is a thriving general and livestock market every Monday when the town gets very busy. You’ll need to park at the agricultural centre which is a short walk away from the town centre. Additionally, on the last Saturday of every month, there is a farmers market which is a great place to source local Peak District produce. Buxton, a spa town, had its heyday in the 19th century when ‘taking the waters’ was very fashionable. Many large and imposing buildings were built and quite a few still remain. Buxton has its own crescent (smaller than Bath but just as impressive) that is currently undergoing redevelopment as an upmarket hotel. It has its own Opera House which stages some great productions throughout the year. Castleton is a village at the head of the Hope Valley, nestled below the iconic slopes of Mam Tor. There are four show caves that each have their own interesting features that include Speedwell Cavern which, as a lead mine was (and still is) only accessible by underground boat. Castleton is also the site of Peveril Castle, a dilapidated Norman fort set on a high viewpoint overlooking the village. You’ll need some strong walking legs on to negotiate the zig-zag path up to the castle but it’s well worthwhile for the views alone. 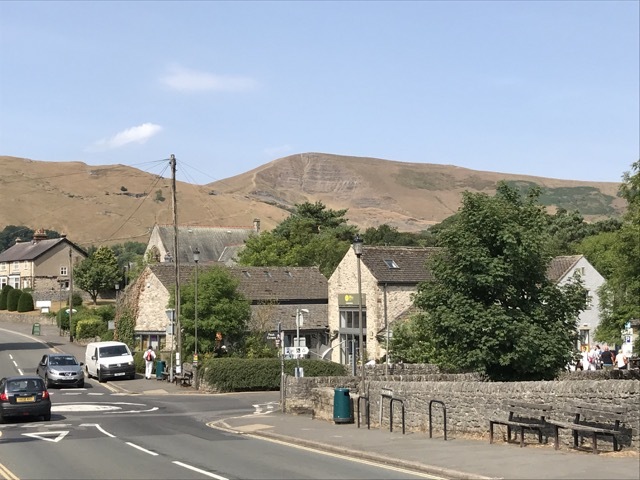 The village is well served with pubs and touristy gift shops selling a unique blue or purple banded variety of fluorite, Blue John, found only in the hills around Castleton. The whole town is decorated for Christmas from mid-November onwards. There is a festival of Christmas trees in the church and carols in the Peak Cavern so the village is always popular at that time of year. Also in Eyam, is Eyam Hall, a beautiful Jacobean manor house, owned by the Wright family and open to the public on various days during the year. One of the most picturesque villages in the Peak District, Hartington used to be famous for its cheese factory where Stilton was once made. The factory has been closed for [a decade] but still has a wonderful cheese shop where is possible to buy several locally made kinds of cheese. Going to Matlock Bath is a bit like going to a British seaside town without the sea but with the fish and chip shops and amusement arcades that you would associate with a trip to the coast.